Will the Falcons even let Matt Ryan go on the open market? The 2018 NFL free agent well has dried up. Disappointed with how your team performed on the open market? Might as well start looking ahead to 2019, which could contain plenty of hot names. Here’s a look at the top 25 players currently scheduled to hit free agency next March. 1. Atlanta Falcons QB Matt Ryan: Don’t get your hopes up on the 2016 MVP. The Falcons appear as though they’re close to extending him, and they have the franchise tag in their back pocket anyway. 2. 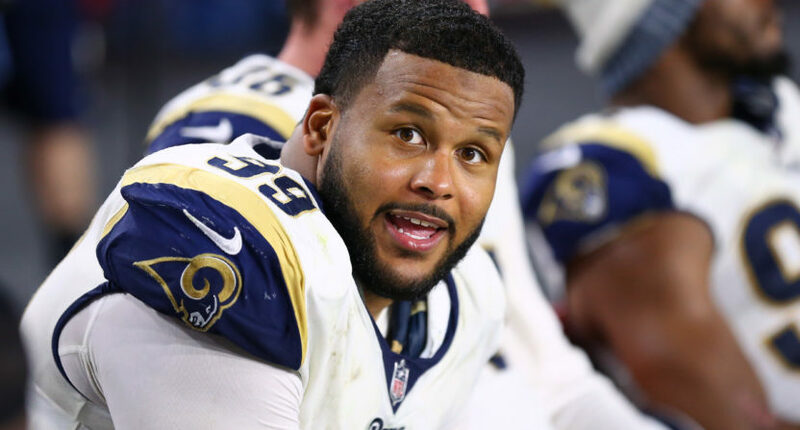 Los Angeles Rams DT Aaron Donald: The reigning defensive player of the year is driving a hard bargain from the Rams entering his option season. 3. Oakland Raiders DE Khalil Mack: Same deal with the 27-year-old three-time Pro Bowl pass-rusher in Oakland. Donald and Mack are two of the most dominant players in football, and they’ve yet to reach their primes. 4. New York Giants WR Odell Beckham Jr.: The 25-year-old caught 90 passes for 1,300 yards and 10-plus touchdowns in each of his first three seasons. 5. Pittsburgh Steelers RB Le’Veon Bell: He could theoretically be hit with the franchise tag for a third consecutive year, but there’s a strong chance Pittsburgh decides that’s too pricey. If that happens, the three-time Pro Bowler could hit the market at the age of 27. 6. Dallas Cowboys DE DeMarcus Lawrence: The franchise tag recipient is coming off a 14.5-sack season at the age of 26. 7. Houston Texans DE Jadeveon Clowney: The 25-year-old two-time Pro Bowl is entering his fifth-year option season in Houston. The franchise tag is a possibility. 8. Arizona Cardinals RB David Johnson: Healthy again, the 26-year-old is a year removed from an All-Pro season in which he led the league in scrimmage yards and touchdowns. 9. Seattle Seahawks S Earl Thomas: If the Seahawks continue to go through somewhat of a rebuild, the six-time Pro Bowler could be a hot commodity on the 2019 market. 10. Cleveland Browns WR Jarvis Landry: Another 2017 franchise tag recipient, Landry has caught an NFL-record 400 passes in his first four NFL seasons. The Browns will likely lock him up one way or the other.